If you’re looking for Steri Fab to use as a pesticide to kill bed bugs, then you’ve come to the right page. In this article, we’ll explain what Steri Fab is, where to purchase it, whether it works, and alternatives to using it. So, keep reading to find out more. Steri Fab is a chemical pesticide used to kill a variety of insects like bed bugs and roaches. It comes in a liquid form (it has the consistency of water) and it can be sprayed on furniture, floors, and walls to kill bugs. 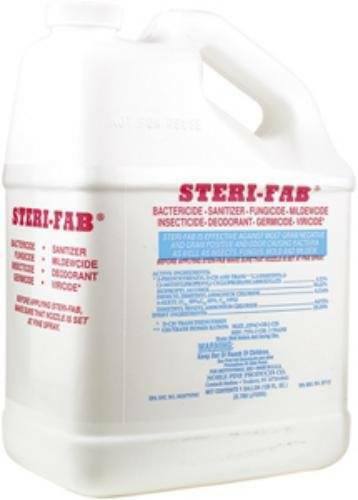 Steri Fab is a bactericide, sanitizer, fungicide, and mildewcide (i.e., it also kills mildew). Steri Fab is safe to use on all fabrics as it doesn’t stain it, but it will leave a slight smell (more like alcohol than chemicals). Where can you buy Steri Fab? You can purchase Steri Fab from your bed bug extermination professional or from Amazon.com here. It can seem a bit expensive, but it’s $50 for a 1 gallon jug! Steri Fab is simple to use. If you buy the 1 gallon jug, then pour some of it into a spray bottle before using it. If you buy one that already comes in a spray bottle, then you can use it straight away. Spray it on wherever the infestation is (e.g., your mattress, the sofa, the carpet). Then, wait for the liquid to dry, which can take a few hours depending on how much you sprayed and what the item is. When it’s dry, that item is safe to use again. What are the ingredients in Steri Fab? A lot that’s in Steri Fab is alcohol (the same type that rubbing alcohol is made from). The other active ingredients are things often found in pesticides. These are definitely chemicals you don’t want to get on you. So, when you apply Steri Fab, wear gloves, open your windows to ensure proper ventilation, and wear a respirator if you have one. Does Steri Fab kill bed bugs? Yes, Steri Fab definitely kills bed bugs on contact, but unfortunately, they aren’t a complete solution. Often it doesn’t work as well after a while and bed bugs may not come into contact with it. It’s also unclear whether they kill any bed bug eggs. So, while it is effective at killing bed bugs, it’s not recommended that you only use this one thing if you discover you have bed bugs at home. Steri Fab can be used as part of a comprehensive bed bug treatment plan, but just not by itself. Another concern is whether bed bugs are becoming resistant to certain pesticides like those present in Steri Fab. It’s unclear right now, but it is a real possibility that the bed bugs in your home may not be killed very easily by this. As mentioned above, we don’t recommend you use this as your only bed bug elimination method. This is a bed bug spray using natural and green ingredients like citronella essential oil and mint essential oil. While this is very safe to use around your home, kids, and pets, it is unfortunately not very effective at killing bed bugs. That’s why we have stopped recommending this spray as a way of killing bed bugs. You can read our full review of Bed Bug Bully here. This is another bed bug spray that’s made from natural ingredients. We suspect the ingredients are similar to those in Bed Bug Bully. 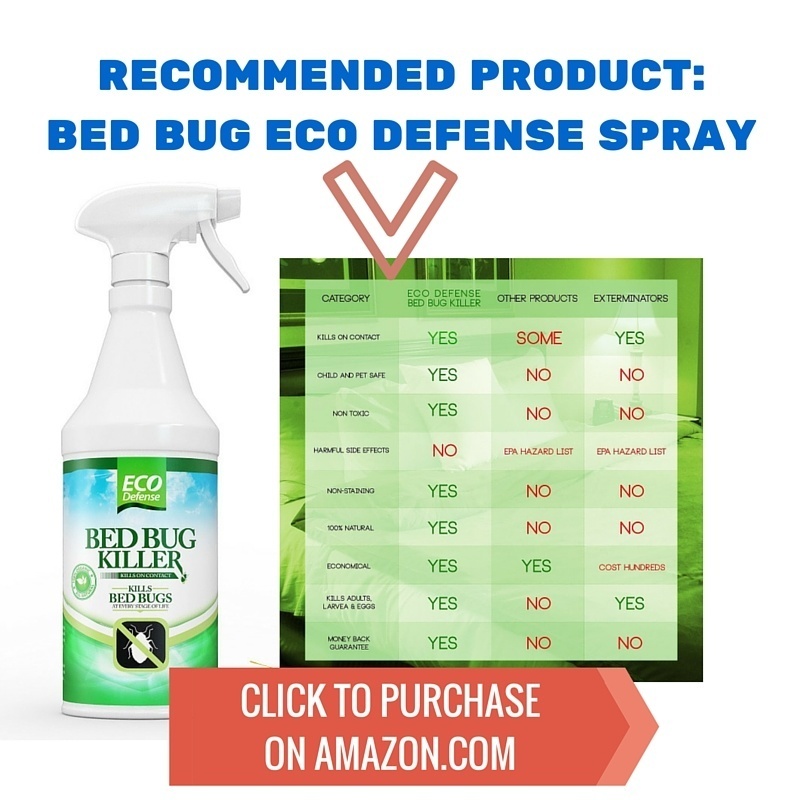 Currently, people report that Eco Defense is relatively effective at killing bed bugs and controlling bed bug infestations, so we are still recommending this spray if you’re looking for something that’s not as heavy in chemicals as Steri Fab. However, you should be aware that this natural spray probably doesn’t work as well as Steri Fab. As I mentioned above, we don’t recommend only using any bed bug spray in order to kill off a bed bug infestation at your home. Unfortunately, sprays are just not that effective at killing bed bugs as bed bugs often hide out in crevices where the spray may not reach. They are also not good at killing bed bug eggs. This is one of our top recommendations for killing bed bugs. There is nothing as effective as dry steaming your entire home. While this can be a more expensive option, it is a much better one. You really don’t want to spend a lot of money and a lot of time only to have bed bugs keep reappearing every night. That’s why getting a dry steamer is the best option. Bed bugs get killed at high heat. However, you can’t put many items like sofas, carpets, and mattresses into your dryer and heat them to high temperatures. But, with a dry steamer, you can pass the nozzle over your furniture (including your mattress), and the steam that comes out will be super hot and will be able to kill any bed bugs or bed bug eggs that it comes into contact with. This is a highly effective way of killing bed bugs. In particular, killing bed bug eggs is very important and it’s something sprays do not do well. By killing the bed bug eggs, dry steamers are able to prevent bed bugs from reproducing so you don’t keep having bed bugs pop up. The main thing to watch out for if you use a dry steamer is that the steam that comes out is very hot and so it can be dangerous unless you use the device carefully. That’s why you will want to make sure to keep your children and your pets away when you’re using it. This is a dust-like substance that is often used to kill insects. It’s naturally occurring and is safe to use even if you have pets. Diatomaceous earth kills bed bugs by dehydrating them when they walk across the dust. So you’ll want to spread a thin layer of this dust in various places around your home where bed bugs are likely to be found. We suggest making sure you apply some under your bed, near the legs of your bed, and near the edge of your walls. Mattress covers can be a slow way of killing bed bugs, but they are a fast way of ensuring you can get more peaceful sleep at night. Mattress covers work by wrapping up your mattress so that bed bugs cannot go in or come out. So, any bed bugs that are in your mattress (and not killed by your dry steam treatment) will be trapped inside the mattress by the encasement. That’s why they won’t be able to come out and bite you when you sleep anymore. 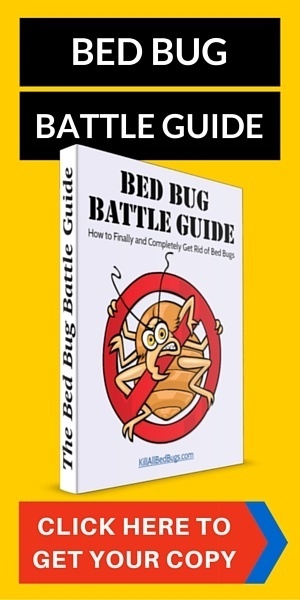 Bed bugs die from starvation after many months, so if you keep them trapped in the mattress encasement for around a year, then you can be sure that the bed bugs will be dead. 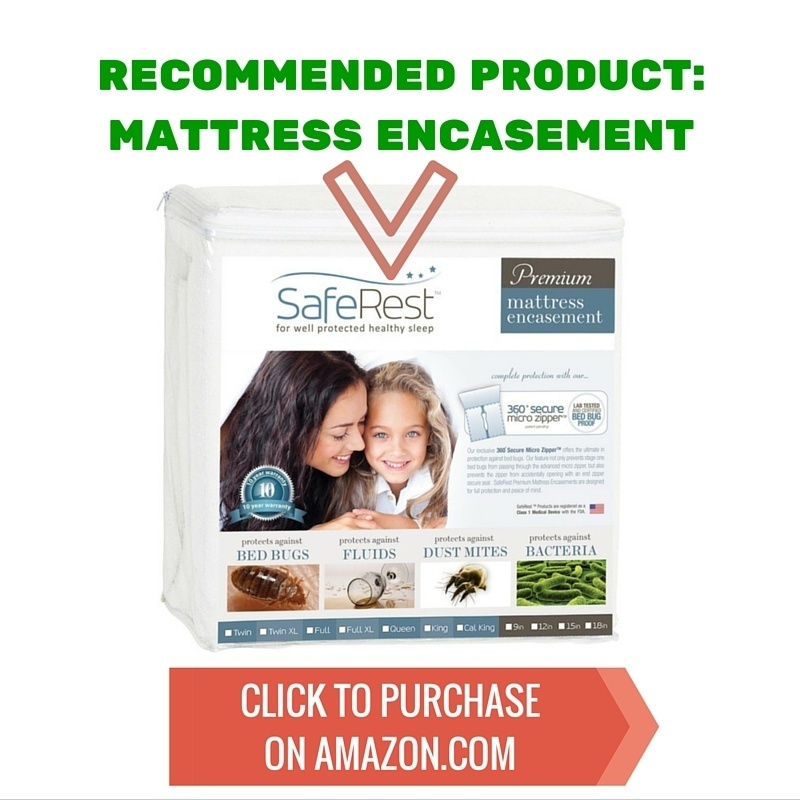 If you choose to get a mattress encasement, then please make sure to check it before you put it onto your bed. You want to make sure it has no cuts or gaps in it that would render it useless. If there are any holes in the mattress cover, then bed bugs would be able to escape from it. You should also check it regularly (perhaps every month) to make sure no tears develop in the cover. Another thing to watch out for with mattress encasements is that they usually have a zipper. Make sure that you tape this zipper down so that the zip doesn’t come open by accident. You may want to tape over the enter zipper section just to be sure. Box spring encasements are also available. 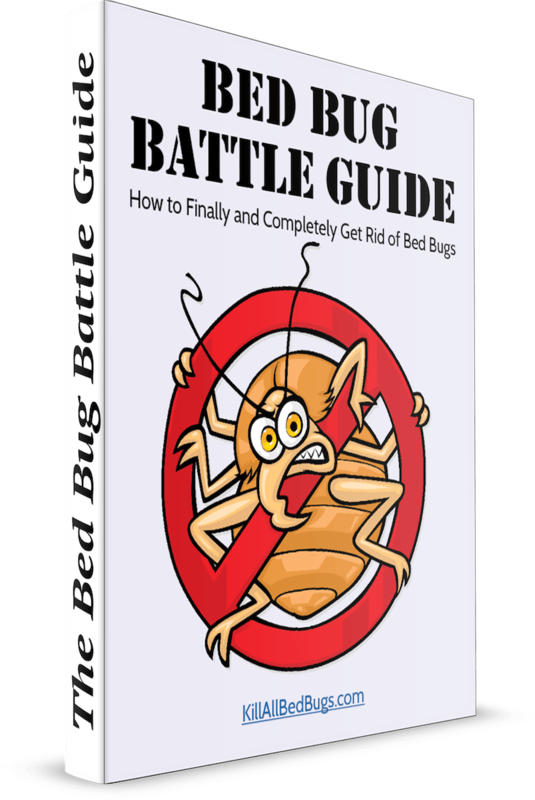 We highly recommend you use all 3 of these methods when dealing with a bed bug infestation. While they are all great ways to kill bed bugs, the fact is that bed bugs are difficult to kill completely as some of the eggs or the live ones may escape your notice and get away. But by using a variety of different methods, you have a better chance of catching every last one of them. While Steri Fab and other bed bug sprays are possible options for bed bug elimination, we find that the 3 methods we detailed above are much more effective when used together than sprays. But if you do choose to buy Steri Fab, please remember to also follow the 3 methods above to ensure you get rid of all the bed bugs and all the bed bug eggs.